Students always have to do a lot of assignments. One of the common tasks given to them is producing a 500 word essay. During the years of studies, you will have to write a large number of such papers. Each work will have different requirements. One will demand to cover the given topic, the other – answer the list of questions. Some learners consider writing a 500 word paper the most challenging task. The problem is that it is necessary to examine the matter fully and present information in such a small number of words. Students usually consult their professors about their assignment in order to understand what to start with. They apply different methods to produce a great work and not exceed the word count. Stop worrying! Forget about all difficulties you have encountered during the writing process. We will give useful tips on completing this assignment. First, you should know that such type of paper does not differ from the others. It includes all elements of a standard essay. Your short essay should consist of the introductory section, body including three paragraphs, and conclusion. However, you should remember that the guidelines may change. It depends on your professor. We recommend you to follow the steps provided in this article if you have no idea how to produce such a work. You may also discuss the instructions with your teacher. Do not hesitate to ask them how to meet the imposed requirements. Remember that your essay should not exceed 500 words. As to the format, you should apply Times New Roman, 12 font and make double spacing. How long is a 500 word essay? Such work is less than two pages. You should clarify whether you may be penalized in case of exceeding the word count. 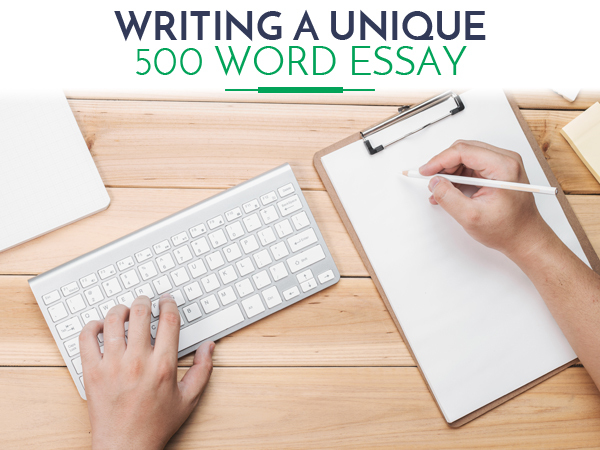 By the way, in order to understand how to write a 500 word essay, you may use a good sample. You can be rest assured that you will handle this assignment if you take all these tips into account. Here, you should inform readers about the subject you are dealing with. This paragraph has to present the points discussed in the paper. Do not forget to write about the aim of your work. By the way, the last sentence of the introduction should present a thesis statement. The body. It is the major section of the paper. You should interest reader in the discussion. Thus, you need to apply an effective approach to make your work fascinating. You may use some persuasive words or set phrases and express your personal opinion. It will help you convey the message to readers accurately. Thus, they will understand what you think about the discussed matter. It is not a dissertation where you have to strictly adhere to official writing style. However, do not forget to write within the set college essay word limit. Try to make readers feel themselves the participants of the story. It should include no less than 50 words. This paragraph should provide a concise summary of the presented content. You may also make a set of recommendations on the explored subject. We are sure that the afore-mentioned tips and 500 word essay example will help you produce a superior paper with a proper essay format.